Reed beds can be used as stand alone treatment systems or in conjunction with a primary treatment process such as an aerated bioreactor. As a rule, a stand alone reed bed treatment plant is a viable option for cellars that press less thank 100 tons per annum. For cellars that press more than this amount, pre treatment is required. The reed bed is constructed on a clay base with layers of 19mm stone. Recycled stone has been used, originating from demolished buildings. The stone has been ground and sorted and comprises a mixture of similar sized pieces of brick, ceramics, marble and granite. 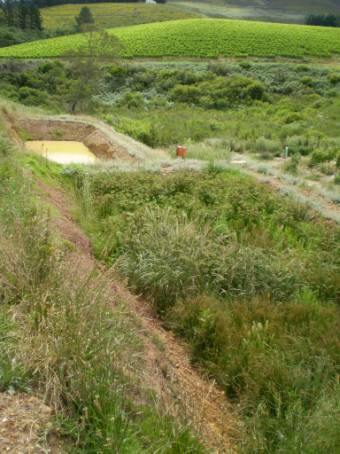 The reed bed provides a bed for a selection of fynbos wetland plants. In the reed bed, a food web is created in the root zone of the reeds and plants. The food web comprises a host of micro-organisms that will degrade any nutrients and organic material present in the water. 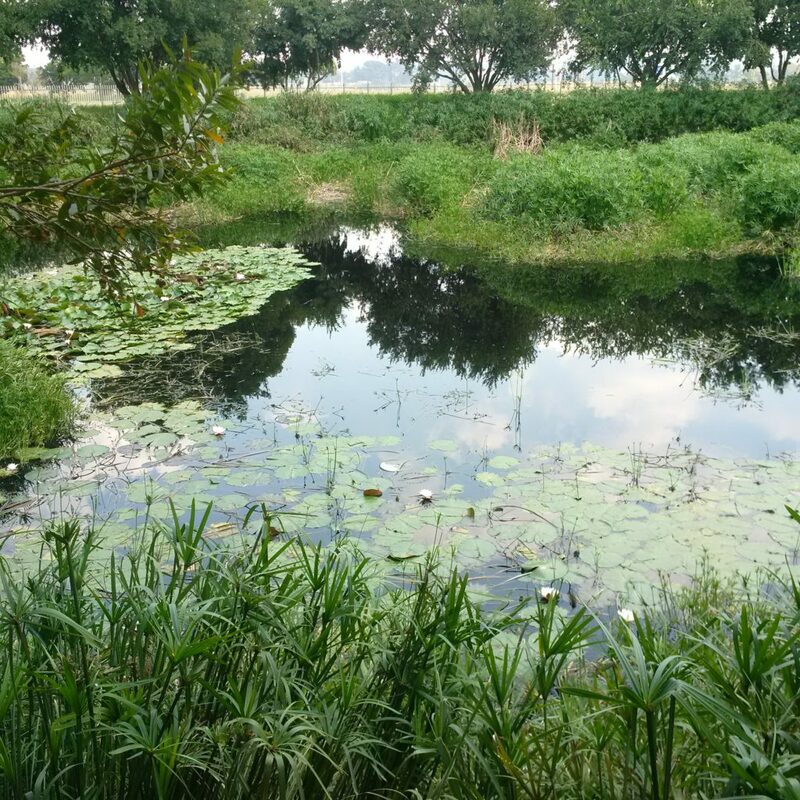 The reed bed serves to polish the treated water and provide important backup capacity should the bioreactor be organically overloaded. Interestingly not all the plants treat the water directly but rather create the right conditions for micro organisms to perform necessary treatment work. And in a similar way, plants chosen for the reed bed reflect diversity with some offering shade whilst others attract insects and birds. The reed bed has a number of other important roles in the treatment process. For example, E.Coli always present in sewage mostly dies off in the bioreactor but not completely. In the reed bed the E.Coli is out competed by organisms in the food web and effectively is starved out of existence.